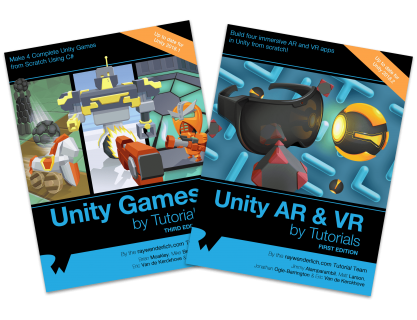 Amazing discounts on all of our AR and VR content, including our newest release: Unity AR & VR by Tutorials. Welcome to raywenderlich.com’s very first AR/VR Week! 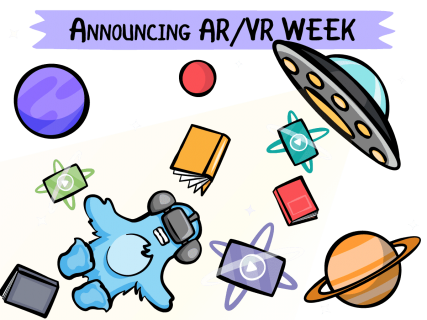 This week, we’ll be showcasing our top easy-to-learn AR and VR content — and will share some surprises along the way to help boost your skills at creating amazing AR and VR apps. The excitement of AR and VR shows no signs of slowing down. And you don’t have to be a game developer to appreciate the feature-rich experience of AR and VR: from entertainment, to military, to industry to medicine, there are lots of ways to make it big as a developer in the AR and VR realm. And we want to help you get there with the least amount of time and effort possible! Without further ado, here’s what we have in store for you! Surprise #1: New AR & VR Starter Book Bundles on Sale! 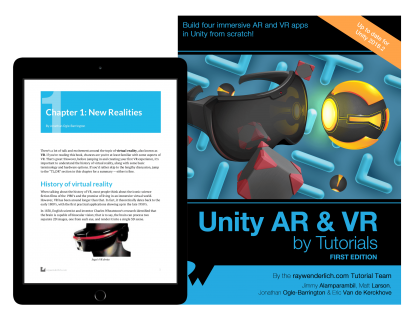 To celebrate the release of our newest book, Unity AR & VR by Tutorials, we’ve decided to bundle up all of our best iOS and Unity content to help get you up to speed with AR and VR development! Want to see what’s inside our AR & VR books? Read on! In this book, you’ll build four immersive AR and VR apps from scratch in Unity. Create fluid and immersive apps in Unity as you learn to work with various AR and VR frameworks and platforms, including VRTK, ARFoundation, ARKit, ARCore, the HTC Vive, the Oculus Rift and the HoloLens! 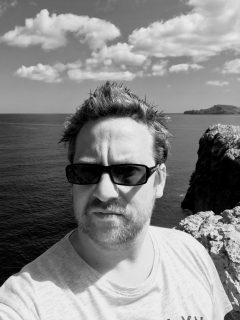 This book is for both beginner and intermediate Unity developers interested in AR and VR who already have some experience working inside Unity with C#. Oculus Rift: Explore the possibilities of the Oculus rift in your VR environments. After reading this book, you will have all of the tools you need to create amazing, immersive AR and VR experiences and use them on the major hardware platforms available today. 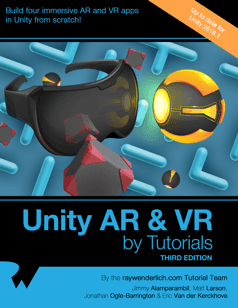 Unity AR & VR by Tutorials is 100% complete and available today — and it’s on sale as part of the Unity AR & VR Starter bundle, available on our store! Jimmy Alamparambi is a co-author of this book and makes games and tools to make games. He is an Emergent Technology Developer at Unity and has worked on Unity ARKit Plugin and Unity ARKit Remote, as well as Cross-platform interface for ARKit and ARCore. Matt Larson is a co-author of this book and is a life-long gamer and developer of scientific visualization software. 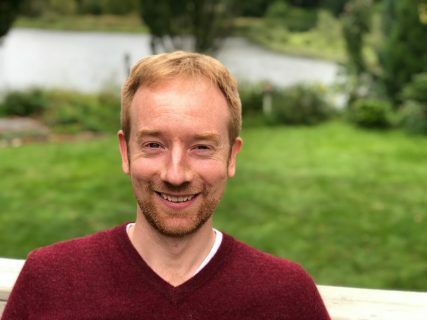 He is also the creator of the mixed-reality app, Titan MR, which allows users to explore the surface of Saturn’s moon, Titan, and was a finalist for the 2018 Windows Developer Reality Mixer of the Year award and the featured in the Unity HoloLens Contest. 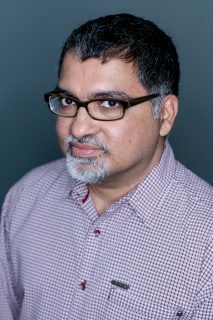 Jonathan Ogle-Barrington is a co-author of this book and Lead VR Game Developer at Wolf and Wood. Also a developer on A Chair In a Room, The Harbinger Trial and The Exorcist: Legion VR. Part of the Bafta VR Advisory Group. Eric Van de Kerckhove is a co-author of this book. He is a Belgian hobbyist game dev and has been so for more than 15 years. 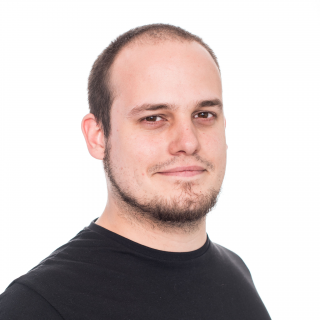 He started with DarkBasic, RPG Maker, Game Maker & XNA and now he makes games using Unity. Eric also takes interest in 3D modeling, vector art and playing video games. He is the proud Unity team lead. 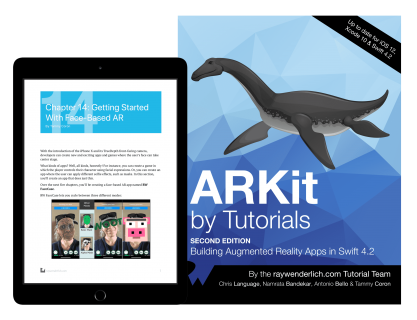 This book is for beginning to intermediate iOS developers who want to learn how to build great-looking apps on the ARKit platform. 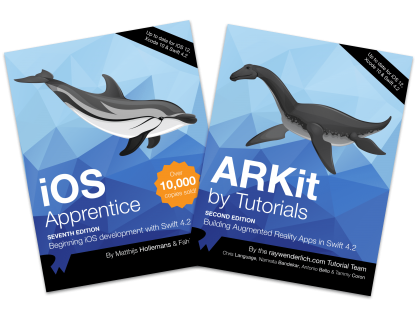 ARKit by Tutorials, Second Edition, is also on sale as part of the iOS AR Starter bundle, available on our store! Surprise #2: Free Unity and ARKit Video Courses! We’ve taken some of the best course for ARKit and Unity development and made them free for everyone! We want you to be able to experience some of the great content that’s available as part of our raywenderlich.com subscription, so we’ve taken some of our best Unity and ARKit content and made it free this week. 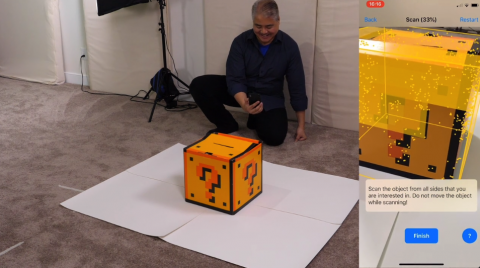 Learn how to scan in 3D, and do many other awesome things, in Joey DeVilla’s Beginning ARKit course! Beginning ARKit: Explore ARKit from getting to know how it works, to adding new furniture in your room and identifying 3D objects from the camera. Free until April 5! Intermediate Programming with C#: While you can create a C# program with just variables and control flow, C# is an object oriented language (OOP). This means you organize your code into objects which interact with each other. This course will provide the basics of OOP by introducing you to value types and reference types. Free until April 5! C# Collections, Lambdas, and LINQ: Looking to have objects contain other objects? Looking to call code on demand? Want to query your collections like you would query a database? This course will cover all that, and build on what you learned in Beginning C# and Intermediate C#. Free until April 5! Beginning Programming with C#: This course will teach you the basics of working with the C# language. You’ll learn how to write programs using Microsoft’s premiere development language: C#. Free this week – and every week! Surprise #3: Free Chapters and New Unity Tutorials! Introduction to Unity: Getting Started — Part I: Today, Unity boasts more game development than any other game technology. And with support for almost 30 platforms including mobile, virtual reality, desktop and console, Unity isn’t just a good place to start, it’s the perfect place to start. 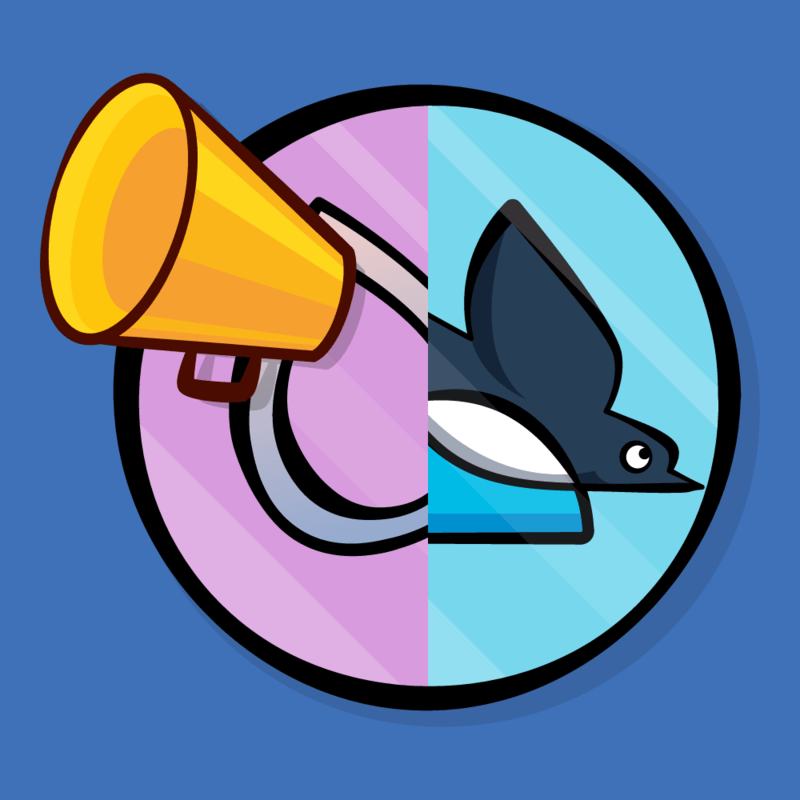 Introduction to Unity: Getting Started — Part II: This tutorial will give you an overview of Unity’s various systems, and you’ll assemble a game from pre-created assets. 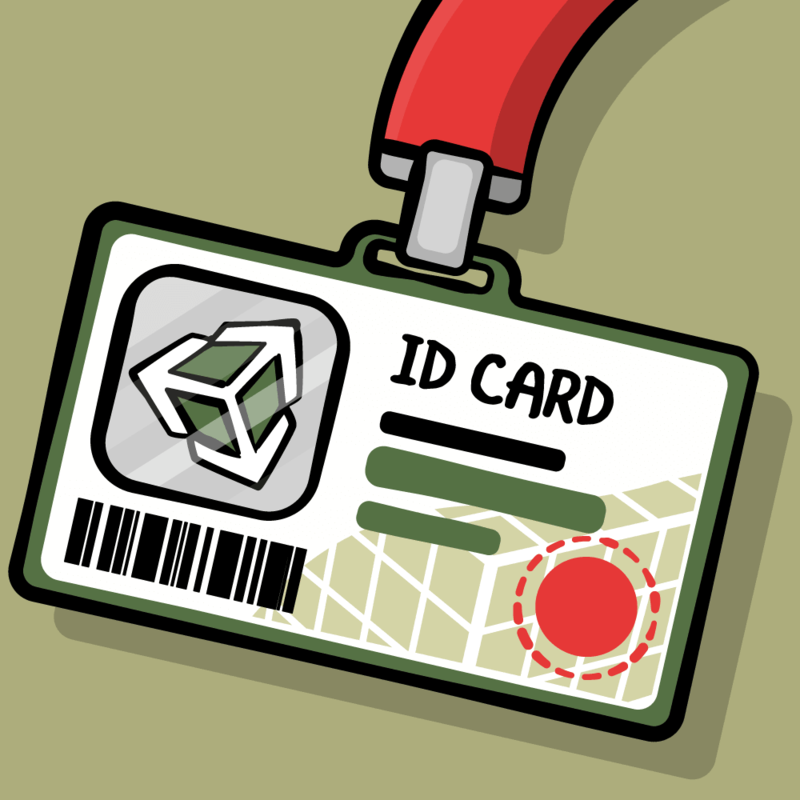 You’ll learn about Unity’s subsystems in depth while you create your own assets and write your own scripts. Advanced VR Interactions: In this chapter preview from Unity AR & VR by Tutorials, you’ll build a virtual museum of awesomeness and learn how to create tooltips for objects and controllers, fix objects to your controllers, use joints to accurately pick up objects, snap objects into place and use haptic feedback! Advanced VR Movement: Following on from Advanced VR Interactions, this chapter preview from Unity AR & VR by Tutorials teleports you around an obstacle field, where you’ll learn how to use destination points to cover large distances, use fixed positions for teleport locations, use body physics, and climb objects! 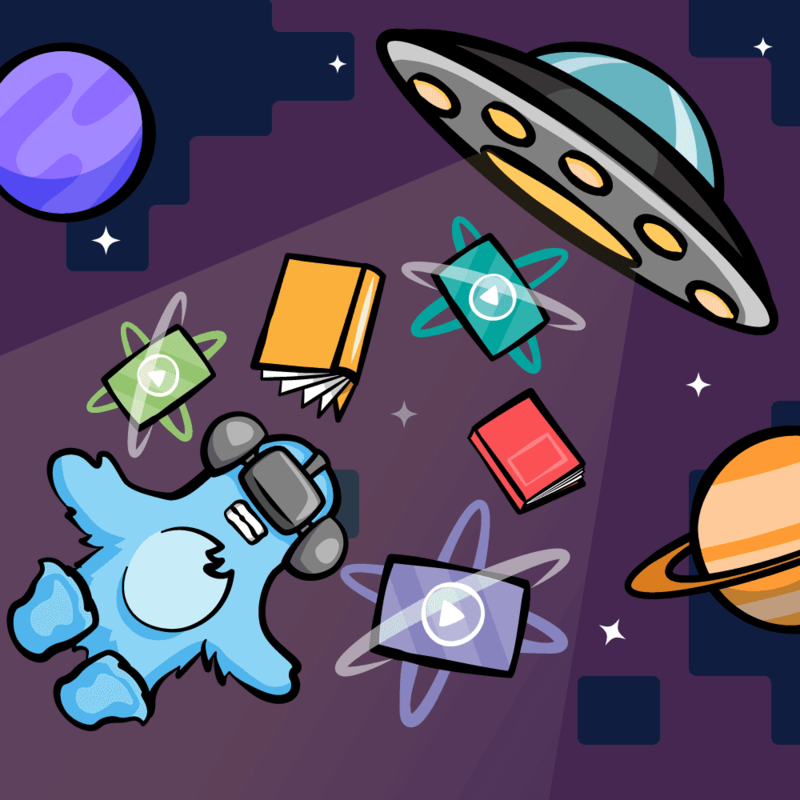 VR in Interactive Media: In this final chapter preview from Unity AR & VR by Tutorials, you’ll see that you can not only use Unity to make games with VR functionality but also to create interactive media. You’ll learn about displaying 360° videos; simulating scary situations in VR to overcome them; leveraging VR for virtual museums; using VR in architecture; and more!. All of these tutorials will be coming out on Tuesday, March 26th. Come back tomorrow to check them out! We’ll also be resurfacing some of our great AR and VR content on our social feeds. Make sure you’re following us on Twitter and on Facebook to catch all of this great content we’ll be sending your way through the week! With all the great AR and VR hardware coming out recently, there’s no better time to jump into AR and VR and master it in Unity and iOS! Monday, March 25: Launch day! Friday, March 29: Giveaway announced! Friday, April 5: Last day for sale! Don’t forget to check back later this week to see the new content we’re releasing — and don’t forget to take advantage of our 50% off bundle sale on both the Unity AR & VR Starter Bundle and the iOS AR Starter Bundle before the deal is over! Amazing discounts on all of our AR and VR content, including our newest release: Unity AR &amp; VR by Tutorials.